Accountants CPA Hartford, Connecticut, LLC—William Brighenti, Certified Public Accountant, Certified QuickBooks ProAdvisor—is a certified public accounting firm located in Berlin and Hartford, Connecticut, offering quality accounting, bookkeeping, tax preparation and planning, payroll, business valuation, QuickBooks and Sage Master Builder consulting services locally in Berlin, Kensington, New Britain, Newington, and the Greater Hartford Area of Connecticut, as well as remotely throughout the entire United States, utilizing remote access services and webconference rooms featuring whiteboards, webcams, microphone, Skype, and chat. 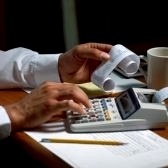 A variety of accounting and tax services are available to companies in a wide spectrum of industries including: construction, manufacturing, not-for-profits, retail, wholesale, professional and business services, distribution, technology, agriculture, transportation, restaurants, entertainment, insurance, and many others. For a free initial consultation with a certified public accountant, contact Accountants CPA, Hartford, Connecticut, LLC. Fees are typically less than one-half of those charged by other certified public accountants in the area. Much of the website of Accountants CPA Hartford, Connecticut, LLC is devoted to articles discussing various accounting, tax, or auditing statements, bulletins, codes, regulations, interpretations, opinions, pronouncements, and methods promulgated by the Financial Accounting Standards Board (FASB), Internal Revenue Service (IRS), Governmental Accounting Standards Board (GASB), American Institute of Certified Public Accountants (AICPA), Securities and Exchange Commission (SEC), and Financial Accounting Standards Advisory Board (FASAB). Like Delphic oracles of antiquity, these supreme bodies of accounting and taxation have a reputation for issuing statements veiled in ambiguity and incomprehensibility to the uninitiated, keeping tax attorneys and certified public accountants—the high priestesses of the accounting and tax mysteries—gainfully employed. Although a number of guides and interpretations are available to professional accountants on the market today, many fail to provide a comprehensive understanding of the accounting and tax pronouncements. Moreover, most—if not all—are not readily accessible to the general public and are prohibitive in cost. Accounting is the language of business. In light of our country's present economic difficulties, too much is at stake not to understand its syntax, grammar, vocabulary, and methodology. It is the mission of Accountants CPA Hartford, Connecticut, LLC to assist the "uninitiated" small business owners and individuals in understanding this very important language. Within this website are links to articles explaining and illustrating in as simplest terms possible the application of some of these accounting and tax rules. For instance, there are technical articles on the calculated value method for valuing employee stock options as compensation of non-public companies (SFAS No. 123R) and the inventory price index computation (IPIC) method for valuing LIFO inventories (IPIC Method). The Construction Controller: the Failure of Accounting Systems at Small Companies. If you wish to receive our newsletter on construction accounting and taxation, please sign up by following this link and providing your email address: Accountants CPA Hartford, Connecticut, LLC. What is Accounting? What are Debits and Credits? Can Goodwill Completely Impaired or Worthless Be Written Off on Your Tax Return? Are Limited Liability Companies eligible as tax-exempt organizations? If you wish to receive our newsletter on accounting, QuickBooks, and taxation, please sign up by following this link and providing your email address: Accountants CPA Hartford, Connecticut, LLC. If you wish to receive our newsletter on QuickBooks, please sign up by following this link and providing your email address: Accountants CPA Hartford, Connecticut, LLC. More articles on QuickBooks, accounting, business taxation (C Corporation Form 1120, S Corporation Form 1120S, Partnership Form 1065, and Limitied Liability Company Form 1065 or Form 1040 Schedule C) and individual taxation (Form 1040) will follow. Any questions, comments, and suggestions on accounting and tax subjects may be submitted on our blog, Accounting, QuickBooks, and Taxes Simplified by the Barefoot Accountant. Please be advised that following their review, they will be addressed and published on the blog. Please do not email your questions, comments, and suggestions on accounting, QuickBooks, and tax subjects, since our email account is restricted to inquiries and communications regarding our services from prospective and existing clients. If you wish to submit an article for publication on our website, please contact us via Accountants CPA Hartford, Connecticut, LLC. We welcome all substantive articles on accounting, auditing, taxation, QuickBooks, and other accounting software. We invite you to visit our Accounting, QuickBooks, and Taxes Simplified by the Barefoot Accountant blog to find articles available on our website as well as articles on the lighter side of accounting and life! William Brighenti began his career as a public accountant in 1979. Since then he has worked at various certified public accounting firms throughout Connecticut. Bill received a Master of Science in Professional Accounting degree from the University of Hartford, after attending the University of Connecticut and Central Connecticut State University for his Bachelor of Arts and Master of Arts degrees. He subsequently attended Purdue University for doctoral studies in Accounting and Quantitative Methods in Business. Bill has instructed graduate and undergraduate courses in Accounting, Auditing, and other subjects at the University of Hartford, Central Connecticut State University, Hartford State Technical College, and Purdue University. He also taught Graduate Management Admission Test and Certified Public Accountant Exam Review Classes at the Stanley H. Kaplan Educational Center and at Person-Wolinsky, and is certified to teach trade-related subjects at Connecticut Vocational Technical Schools. His articles on tax and accounting have been published in certified public accountant journals as well as on certified public accountant websites. William was born and raised in New Britain, Connecticut, and served on the City's Board of Finance and Taxation as well as its City Plan Commission. In addition to the blog, Accounting, QuickBooks, and Taxes by the Barefoot Accountant, Bill writes a blog, "The Barefoot Accountant", for the AccountingWEB, a Sift Media publication. Time to change accountants and CPAs? Do you grab your chest when you open your CPA's bills? Do you feel shunned by your CPA when you call his office? Tired of seeing a new face handling your account each year? Are extensions your CPA's MO? Are you no longer shocked when you receive an IRS notice? Do you find yourself auditing the work of your CPA? Do you suspect that your CPA never heard of tax planning? Can't remember the last time your CPA discussed his findings? When you receive your financials, is it already time for next year's? Do you break out in a cold sweat worrying about an IRS audit? No extensions due to our scheduling. Maximum avoidance of IRS notices. Allow us to do your accounting so you can do what you do best: your business! Consider the benefits of outsourcing all of your accounting work to us. Compare our fees to those of other certified public accountants and save thousands of dollars every year in accounting fees! For more info, please visit our website by clicking here: Accountants CPA Hartford, Connecticut, LLC. Carole Romatis is an accomplished bookkeeper and Quickbooks consultant. She posseses an extensive background in banking and insurance, having worked as a manager and assistant manager at TD Banknorth, Webster Financial Corp, and various other banks in Connecticut. She also has operated several small businesses of her own. Please feel free to contact Carole Romatis for your bookkeeping, payroll, accounting, and Quickbooks services. For help with QuickBooks, please contact Carole at Accountants CPA Hartford, Connecticut, LLC. ESTIMATED TAXES FILE FORM SS-5 FOR NAME CHANGE WHAT IS ACCOUNTING? WHAT ARE DEBITS AND CREDITS?